How do you homeschool when you're not at home? For families who would rather leave their toothbrushes behind than hit the road without a laptop, an online curriculum is the obvious choice. Others may not be so sure. Whether you school year round or just want to provide a little summer review, there are several methods of home education that could be compatible with the restrictions inherent with travel and limited storage. Textbooks and workbooks could be the least expensive option, but not necessarily. Books are heavy to pack and take up a lot of space. They also take a beating while traveling, guaranteed not to arrive home in the condition in which they left. Parents also need to take time out from vacation activities to grade the work regularly. Those who travel in an RV probably take along a DVD player. There are homeschool programs available on DVD, but two top sellers also require textbooks . . . LOTS of textbooks. Travelers choosing this option still must contend with the drawbacks associated with using a book-based curriculum, as well as the possibility of damaged or lost DVDs. 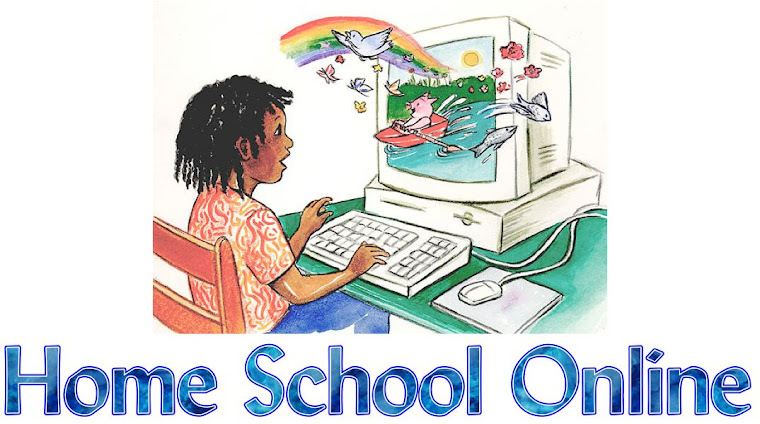 If you have a laptop or netbook, you might consider a homeschool program on CD. Remember that you won't be able to use CDs on most netbooks (mini laptops) unless you purchase a separate optical drive. Attaching a separate CD drive to a netbook effectively eliminates the advantage a netbook has over a laptop, which is its size. Your laptop can play CDS . . . the ones the ones the kids haven't lost. Our family has found that an online homeschool curriculum best fits our summer school needs. There are no books or other supplies to store and no discs to lose. The program even grades the student's work, leaving Mom and Dad free to enjoy more vacation time. You may have considered an online school in the past, but realized it would be difficult to adhere to the school's requirements during the summer. Time4Learning is not an online school, imposing a strict schedule and not allowing parents to skip or modify activities. Time4Learning is an online curriculum, to be used in the way that best suits your individual child. Although there is a suggested, typical course of study for each grade level, students are free to work the lessons in any order. Activities can be done as many times as necessary or desired. Students may work at different grade levels in each subject, even alternating between grade levels in the same subject. Tests may be given or eliminated, and lessons can be skipped altogether. Payment is made once a month, with no obligation to continue for a specified number of months. Summer seems to cry out for fun! Even if you use another program during the school year, Time4Learning's lighthearted, animated lessons could provide a much-needed break from your family's usual school routine. Don't be surprised if, like our family, you find yourselves becoming regular users throughout the year. Are you a curriculum snob? How Long is a Homeschool Day? Homeschool or School at Home? What is a complete curriculum?